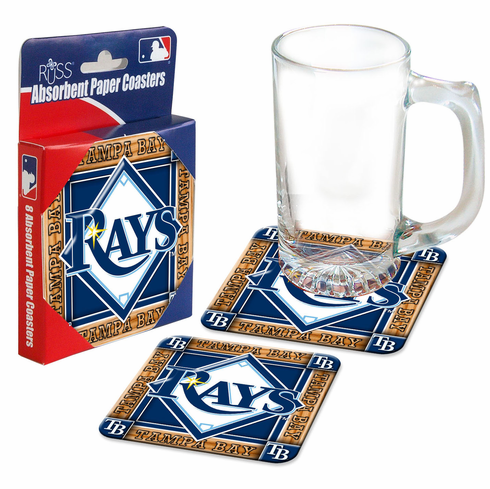 These Tampa Bay Rays absorbent beverage coasters are functional and they really work...absorbing drink condensation helping protect your furniture. Restaurants and bars have been using these types of coasters for years...finally you can too! Each pack includes 8 square coasters.